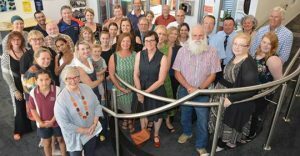 The Foundation promotes community well-being by making grants to small charity and not-for-profit groups for social, environmental, and cultural activities within the Bega Valley Shire. Our ‘Background’ and ‘Storybook’ help describe our activities and showcase recent examples of groups supported by the Foundation. It also funds university scholarships and school book prizes. 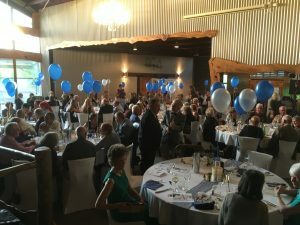 To support these activities the Foundation seeks private and business donations, receives a matching annual grant from Council, and undertakes its own fundraising activities. In its 17 years in operation the Foundation has given more than $1 million in grants to over 200 organisations. The 2018 Mumbulla Foundation Community Grants presentation was held at the University of Wollongong Bega Campus on Friday 7 December 2018. The Foundation Chairwoman Olwen Morris was delighted to be able to handover cheques totalling over $50,000 to 19 local not for profit and charitable organisations from throughout the Shire. She congratulated all the recipients and noted that the Foundation was looking forward to further engaging with the groups as their community projects were brought to fruition in 2019. 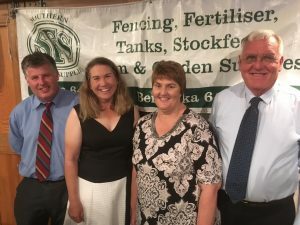 The 2018 grants presentation was very successful and the full story is available courtesy of the Bega District News – here. The Mumbulla Foundation proudly supports all students in the Bega Valley Shire through the award of scholarships, prizes, and back-to-school vouchers. The Foundation’s chair Olwen Morris was delighted to be able to attend the University of Wollongong Bega Campus recently and present scholarships to 6 exceptional students. A brief video can be viewed – here. Our annual fundraising event was a great success, raising over $20,000. 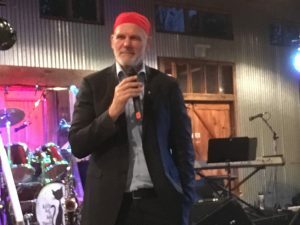 A crowd of almost 150 attended the Mumbulla Foundation Annual Gala Dinner at Oaklands Event Centre with guests being entertained by the flamboyant Mr Peter FitzSimons AM. The Mumbulla Foundation is pleased to announce a ‘Gold Donor’ program. Please ‘Give Where You Live’ and help the Foundation support the Bega Valley Shire community. If you would like to become a Gold Donor them please submit the Donation Form. The grant is used to purchase a MicroEye Microscope. The simplicity of this microscope means it can be used successfully by people of all ages to take a closer look at specimens contained in the touch tank and dried specimens. It has become a valuable tool in educating the wider community about the local temperate marine environment. The grant is provided for the conduct of workshops in dance and percussion that explored the non-verbal communication between people. It was a program targeted at nurturing performers to explore and cross boundaries and was targeted at the 10-14 year age range. This project called 'Stomp' culminated in a performance called 'Smoke Signal' in October 2013. Tathra Aboriginal Education Project This grant was for the publication of the language book on the DHURGA and THAUA Aboriginal languages and the erection of 4 signs indicating significant aboriginal sites around Tathra. The project has addressed the educational needs of students whilst raising awareness of Aboriginal languages of the South Coast and Far South Coast. Tulgeen Group - Riverside nursery. This grant provides support for the establishment of a community garden. As part of the celebration of National Family Day Care Week the organisation acquired new climbing equipment with the assistance of the Mumbulla Grant. The primary aim of this equipment is to promote physical activity and develop motor skills. Jellat Rural Fire Brigade members with new wet weather jackets, goggles and torches bought with a Mumbulla Foundation 2014 grant. A new first aid kit was also bought for the Jellat station. Would you like to give where you live? You can donate via PayPal here – simply enter your payment amount, email address and donate by pressing “pay now”. For other payment methods, please visit this page.